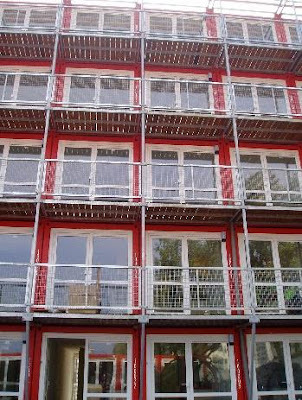 In past we got you 'Alternate Use Of Containers' and here we have some interesting 'Shipping Container Architecture'. The Dordoy Bazaar is a large wholesale and retail market in Bishkek, Kyrgyzstan (Central Asia) and is almost entirely composed of containers, and is of comparable size. Empty shipping containers are commonly used in markets and as warehouses in the countries of the former USSR. This Nomadic Museum is composed of 152 shipping containers. It was constructed to house a photography exhibit in New York City in 2005. And it was reassembled in California in early 2006. Here we have a shipping container home Zigloo Domestique (Victoria, British Columbia, Canada), which is a residential home created by Keith Dewey. The project costed about $150 per square foot, compared to a similar quality traditional construction project, which is quite reasonable. The listening room created using a 20 foot shipping container by MAT Studio and Elastik. These come from the fashion event organized at Container Ground. Shipping Container Hostel: This hostel was completed in mid 1998 and is unique and is believed to be the largest building in the world constructed primarily from containers. 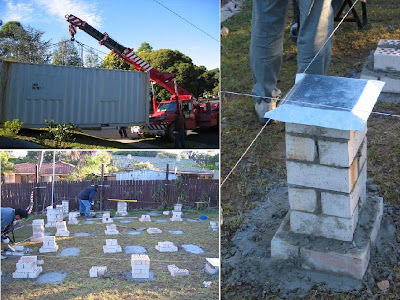 The project began with 40 used shipping containers with Paul Cooper as architectural consultant and VKE Engineers as project facilitators. 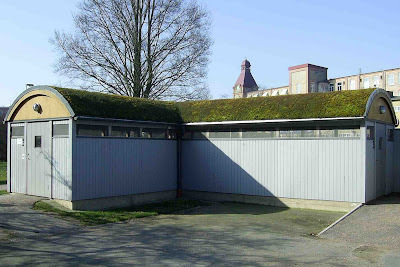 Here we have a small home with a green roof which naturally requires one or two large container. 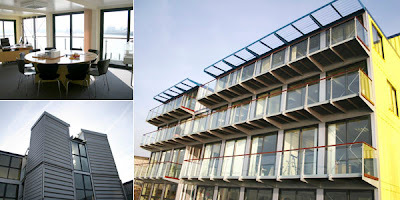 The Riverside Building: Its located on the banks of the river Thames opposite the Millennium Dome, was completed in 2005, and is the third of the Container City projects to be housed at Trinity Buoy Wharf in London's Docklands. The Riverside Building takes full advantage of its riverside location providing spectacular views at an affordable price and is set over five floors and has created 22 office spaces. Linx - An integrated, two-story structure that maximizes use of small spaces by Dublin-based industrial designer Richard Barnwall. 20' shipping containers redesigned to be used as temporary workspace for workers on a construction site. 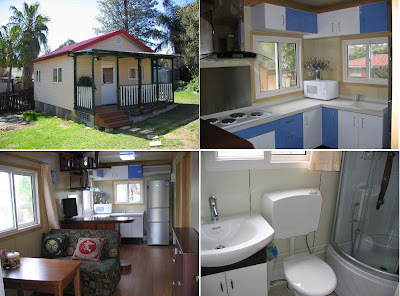 This 1350 square foot, three bedroom container house incorporates three insulated containers into the design, two 40 foot containers are placed on one another and a third is cut in half and placed on itself. 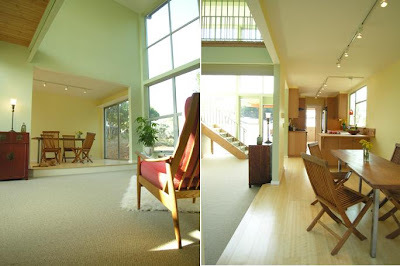 Its located on top of a hill in an East Bay suburb overlooking San Francisco, and the credit of its creation goes to Leger Wanaselja Architecture. 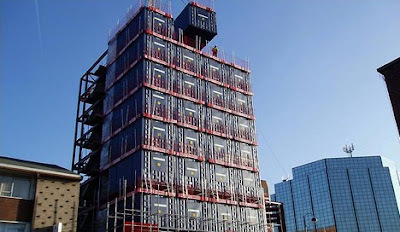 The world's first hotel built from shipping containers is coming up in Uxbridge, West London. Each of these prefabricated containers comes fully equipped with furniture fixtures, and decorations. Multi-Family Prototype - PFNC's newly completed prototype is fully portable and the urban-style plan features a full kitchen, washroom with shower, owner's bedroom and can accommodate 2-6 people. This reminds us of the container city. JT Container House: A total of six 9'6" high x 8'0" wide x 40'0" long containers are grouped into three groups of two which sits on 5 acres of land in the middle of 40 acres of government land off of Coyote Valley Road and on Saturn Road in Joshua Tree, CA. 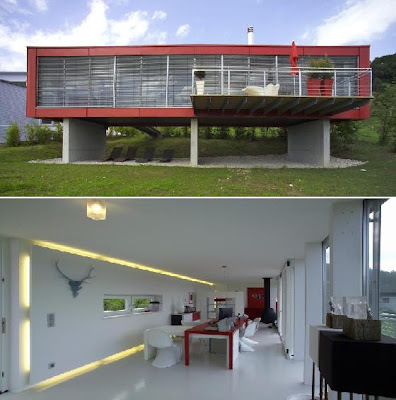 A simple container house which includes the living room, kitchen and bedroom. Simple office: a converted container used as an office at a building site. People Who Are A Bit Different.